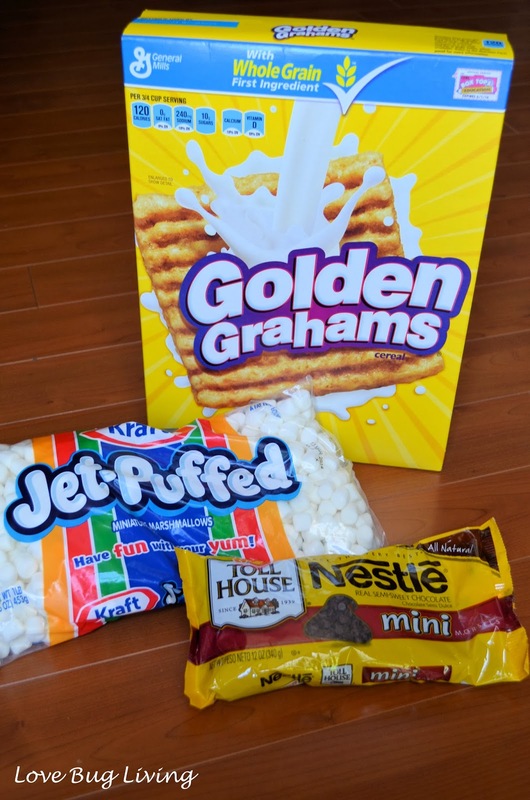 Fall is here and what better snack is there than Smores! Of course, smores are yummy, but they can be quite messy! Still the taste of graham crackers, marshmallow and chocolate is quite a treat. What if you could have smores anytime and anywhere? 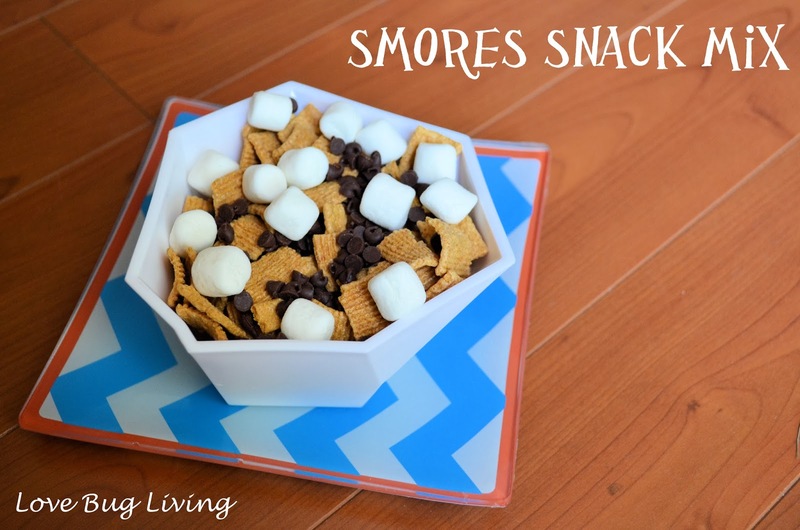 Now you can with this yummy Smores Snack Mix! 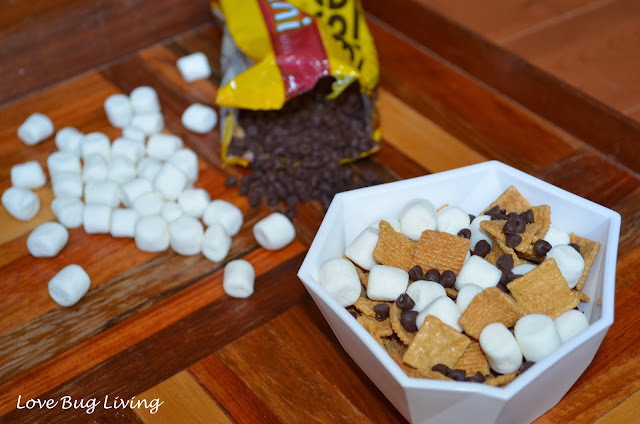 All you need is some graham flavored cereal, mini marshmallows, and chocolate chips. I used the mini chocolate chips, but I would probably use regular sized ones next time. The smaller ones seemed to sink to the bottom of the mix. Not much to the recipe. 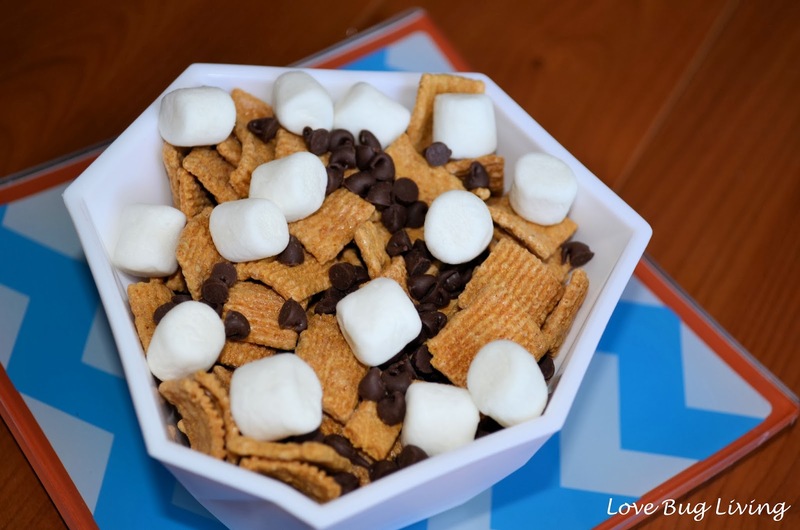 Just combine your cereal, marshmallows, chocolate chips and serve! 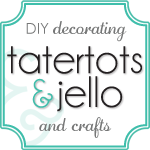 This is a great fall treat that is sure to please. Soccer season just ended for my daughter, but when it was my turn to bring snack for after the game, I wanted to do something fun. I found these soccer baggies on sale at Michael's. They were perfect to hold my Smores snack mix. I added a small cutie orange with a Sharpie face drawn on. It was near Halloween, so I went with a jack o' lantern type face to make it look like a little pumpkin. I put both snacks, along with a drink in a white paper bag, which I decorated with the team name and a soccer ball. I tied it all up with the team's color ribbon. 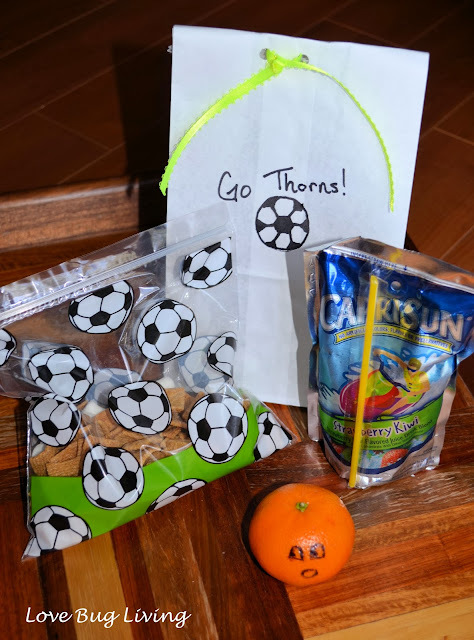 A fun snack bag that is all ready to go for each player when the game is over.